By John P. Foreyt, Lynne W. Scott, Michael E. Debakey and Antonio M. Gotto Jr. Provides more than three hundred heart-smart recipes that range from favorite American classics to vegetarian and ethnic dishes, and incorporates the latest information on heart disease and diet. More than ten years ago, a team of heart specialists and dietitians at Baylor College of Medicine and The Methodist Hospital in Houston, Texas, created the Living Heart Diet for their patients. Their best-selling book explained the relationship between nutrition and heart disease and helped change America's eating habits. 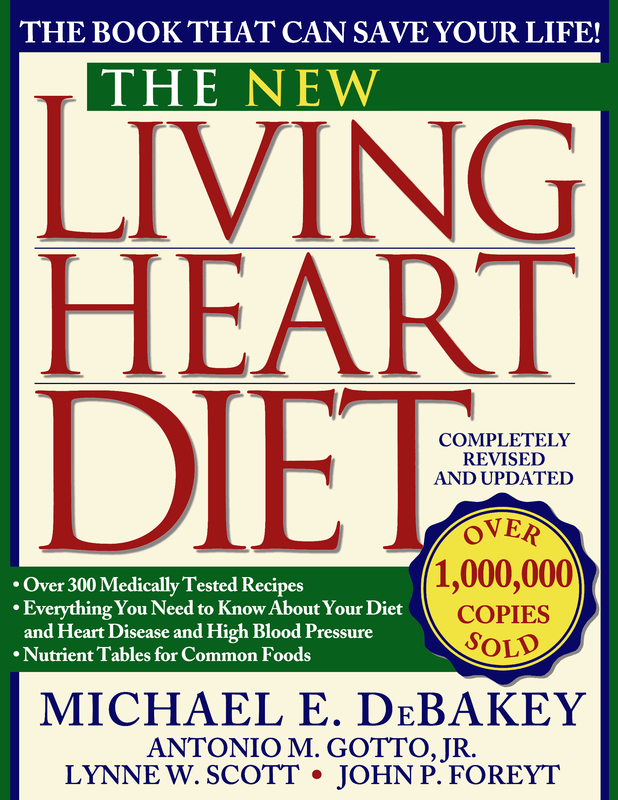 Updated and completely revised, The New Living Heart Diet incorporates the latest information on how to minimize your risk factors for coronary heart disease and reflects changes in our tastes and eating habits. Drawing on recent research in health and nutrition, the New Living Heart Diet helps you make food and lifestyle choices to control blood cholesterol and triglyceride levels, blood pressure, weight, and diabetes. It clarifies information about vitamins and minerals, interprets the new nutrition labels, and explains how to select among the array of foods in supermarkets. Also included is a special chapter on vegetarian eating. More than 300 new or revised recipes—along with breakfast, lunch, dinner, and holiday menus—are provided to make healthy cooking and eating convenient. The recipes and menus have easy-to-understand nutrient analyses and feature traditional American as well as international dishes. From the detailed guides for selecting food when eating out to the comprehensive tables describing the nutrient content of common foods, the New Living Heart Diet makes it easy for readers to enjoy delicious, healthy eating every day.